The movie released on November 6 in over 3,000 screens around the world and managed to keep running in over 60 per cent of the screens from the release date till its second weekend. 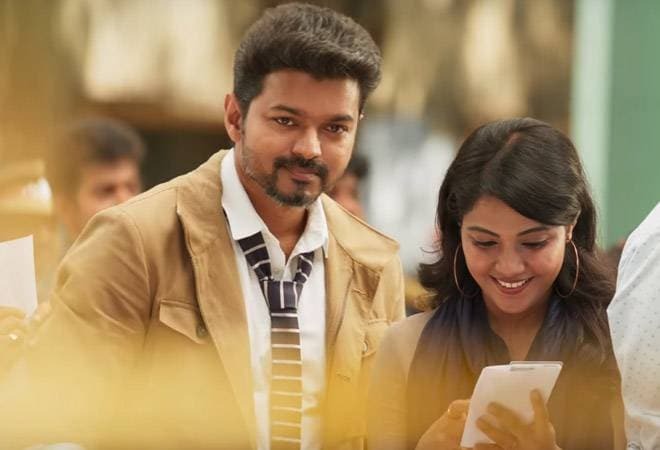 Vijay's Sarkar has earned Rs 247 crore at the box office worldwide in just two weeks. The film collected Rs 100 crore in just two days after its release. The movie released on November 6 in over 3,000 screens around the world. It managed to keep running in over 60 per cent of the screens from the release date till its second weekend. The movie collected Rs 153.3 crore at the domestic box office. In the US, Australia, Malaysia, UAE and a few other countries with high Tamil speaking population, the movie has done well. The film is also expected to enter the 1 million dollar club in the US. Apart from making huge collections at the box office, Sarkar had already shattered records with its teaser release in October, when it gained more than 11 million views on YouTube within 6 hours. The movie stars Thalapathy Vijay, Keerthy Suresh, Yogi Babu, Varalaxmi Sarathkumar and Radha Ravi. It narrates a story of a successful NRI, who arrives in Chennai to cast his vote but gets a shock when he realises someone else had cast a vote on his name. What follows next is his battle against corrupt politicians. The movie has surpassed the lifetime collections of several Bollywood films like Alia Bhatt's Raazi and Akshay Kumar's Gold. It is now amongst the top 10 highest grossing Indian movies of 2018.